We are beyond excited to have the master back in 2019. If ever there was an artist who doesn't need an introduction, it has to be the man known to music lovers the world over, simply as El Maestro. 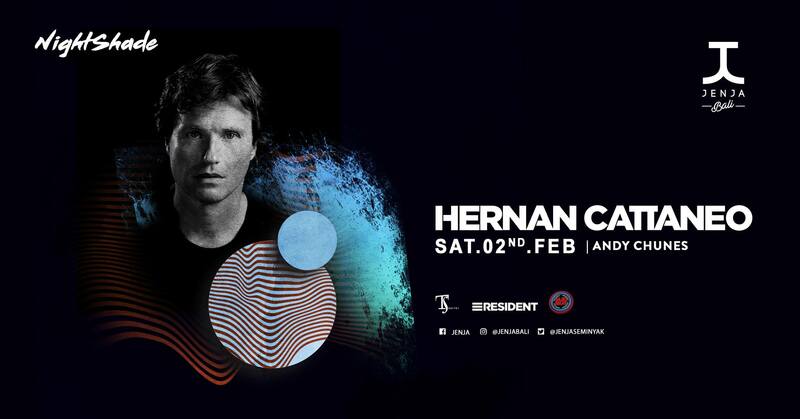 Throughout his rise to become both a foundation and a founding father of the underground house scene, the name Hernan Cattaneo has become synonymous with dedication, passion and an unwavering commitment to championing a unique quality of music that is hard to define, but instantly recognisable as his signature sound. The quality of his selection and production skills were soon being called on by the biggest house labels, including Bedrock, Perfecto, Renaissance and Balance. As his global career grew, so too did his legions of fans, and word spread worldwide about the man whose legendary all-night sets had the power to set your feet on fire and make your soul sing. Long since established as a hot ticket in any town, Hernan's legendary all night sets have seen him conquer every corner of the globe. There is scarcely a club, festival or dancefloor on the planet that hasn't been transported on a masterful music journey lasting long after the ebb of the final beat. Strict door policy (no singlets, flip-flops or beachwear allowed!). Entry is not guaranteed if the club is full, so get in early! Management reserves the right to refuse entry. Get your presale ticket at www.maimilu.com now! Please report any inappropriate, invalid, offensive and illegal event on Maimilu. Please write down your reason on why this event should be reviewed. Share this event and become ambassador by referring this event to your friends. Use URL below to share this event. Save this event to your 'Saved and Shared Event' list.